Choosing the right barcode reading technology is fundamental to achieving optimal performance from a data collection solution. As new symbologies and technologies are developed, the choices are more varied than ever. There has been much debate on the merits of laser-based and camera-based barcode readers, and in fact, some have asserted that only image-based readers should be considered for new automation applications. Should laser barcode scanners be considered “obsolete” technology and are imagers (camera-based readers) the only viable technology for today’s applications? While imagers have seen increased use due to the growing adoption of 2D symbols such as Data Matrix, laser scanners still set the standard for accurate, high speed barcode reading in many applications. The optimal barcode reading solution will be dictated by the specific requirements of an application. Laser scanners use a beam of light to form a single line across the width of a barcode. Fixed raster scanners were first created in the 1970s to read 1D barcodes in supermarkets and gained widespread use in manufacturing after the 1982 invention of the compact laser-diode scanner by Microscan founder Mike Mertel. Laser scanner models with a sweeping or omnidirectional raster have the ability to read stacked 1D symbols. While 1D use is declining in some industries where the small size of 2D symbols makes them a more attractive option, linear barcodes remain a critical element in many applications and industries, including clinical diagnostics, pharmaceutical packaging, and shipping labels. With the benefits of simplicity, low cost, universal recognition, and ability to be printed and decoded easily, 1D symbols are still widely popular across the globe. Laser scanners can only decode in one dimension, so 2D symbols must be read with imagers or other camera-based products, which can also decode 1D symbols. Developed in the 1990s, camera-based imaging technology uses rows of CCD or CMOS sensors arranged in a two-dimensional array to generate an image of the symbol. This image processing provides the capability to decode both 1D and 2D formats. 2D symbols such as the Data Matrix (invented in 1994 by I.D. Matrix, now a part of Microscan) have been adopted in industries including electronics and automotive manufacturing because they allow large amounts of data within a small area. Information-dense 2D symbols are also favored for use in marking small items for tracking throughout their life cycle, a process known as direct part marking or DPM. Laser products benefit from nearly 40 years of refining the technology, allowing the creation of technology standards, and perfecting the most cost-effective units. Today’s products provide a high cost-performance ratio. Imaging products are a more recent development and provide reading solutions at a higher cost and level of complexity due to their more sophisticated and expensive components. While camera-based imagers must filter through captured pixels and experience slower decode rates (relative to laser scanners), they have the added benefit of quality validation and the flexibility to read a much wider variety of symbols. Manufacturers should assess the best technology and product to meet their specific application needs at an optimal cost-performance ratio. Below are some simple rules to use when evaluating a barcode application. 1. If an application is using a 1D barcode and/or a stacked symbol such as PDF417, a laser scanner will often prove more advantageous than an imager. Lasers provide reliable performance at a usually lower cost. Lasers are faster and typically provide decode rates of over 1,000 real-time decodes per second. Lasers provide a sharp, clear laser line which only focuses on the barcode. Lasers can read over long distances and provide greater depth of field (the inside and outside distance from the scanner). Lasers are less complex; they are easier to use and integrate into an instrument or a manufacturing line. 2. If the application includes 1D or stacked 2D symbols that are poorly printed, damaged, or vary dramatically, it is possible to use either laser or imaging products. For high speed or high throughput applications, laser scanners may be the better option. In some cases, poor quality or damaged symbols can be read by laser scanners with advanced code reconstruction algorithms, such as Microscan’s QX-830 with X-Mode. Many laser products do have limited quality checking to assess readability, but if the barcodes are extremely damaged or if dramatic variation is expected in symbol orientations, use of imaging technology will be required. It should be noted that a controlled process for maintaining quality of barcodes and managing their placement is highly recommended. This is a critical step to ensure that all symbols, whether 1D or 2D, will be decodable by other equipment further down the supply chain. 3. If 2D symbols such as Data Matrix are included in the application, imagers or other camera based products must be used. Some common applications using 2D symbols include tracking small parts where 1D would not fit; items that must be permanently marked (such as dot peen or chemical etching) and tracked throughout their lifecycle; and consumer package labels where small 2D symbols are less intrusive and easier to include in an appealing package design. At Microscan, we maintain an objective view of laser and imaging technologies. Our technology portfolio is diversified and balanced to encompass the full range of both laser and imaging products. We have a strong 30 year history of innovation including both technologies, and understand the unique strengths and weaknesses of each. 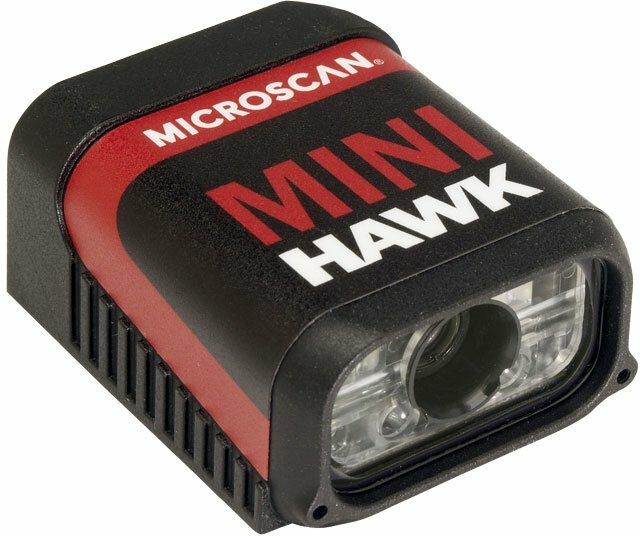 Microscan offers very capable imaging- and laser-based readers, which enable us to look objectively at customer applications and recommend which technology or product best suits their needs.